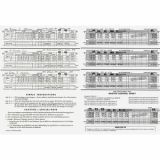 Includes Calendar of Tax Form Due Dates and Explanation of Payroll Tax Forms. 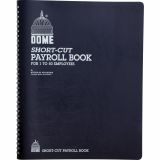 Dome Payroll Record, Single Entry System, Blue Vinyl Cover, 8 3/4 x11 1/4 Pages - Payroll book provides double page for yearly earnings record for each employee. Design makes it easier to prepare federal and state payroll tax forms. 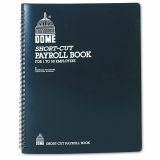 Payroll book contains wide columns, completed specimen page and calendar of tax forms. 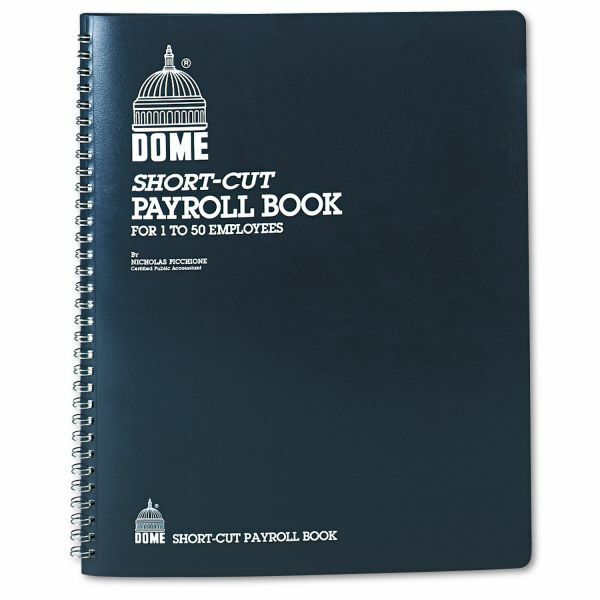 Payroll book is good for a full year, but not dated, so records can start at any time. Nonrefillable, wirebound book has a durable cover to protect contents. Also includes Schedule of Payroll Deposits. Filled in specimen page for clear examples.